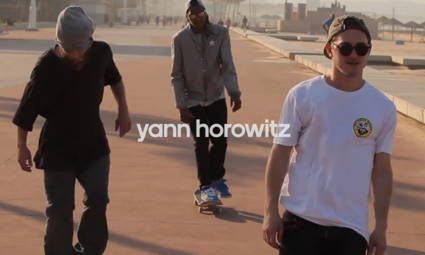 As the South African Adidas Skateboarding team welcomes a new member , Yann Horowitz, they thought it might be a good idea to take pro skateboard riders Khulu Dlamini and Jansen Van Staden to Yann Horowitz’s home in Durban so they could spend some time together. They did and luckily for us have not forgotten to bring Adriaan Louw & Leon Bester along so they could film a little. So here we are in Duban, the third largest city of the country after Johannesburg and Cape Town, home of Yann Horowitz, sliding and riding along the beach along with a team of heavily skilled riders. Able to both make me feel in 2012 and reminding me the good old days, this video is nothing else but a big push to go ride and that is already a lot !